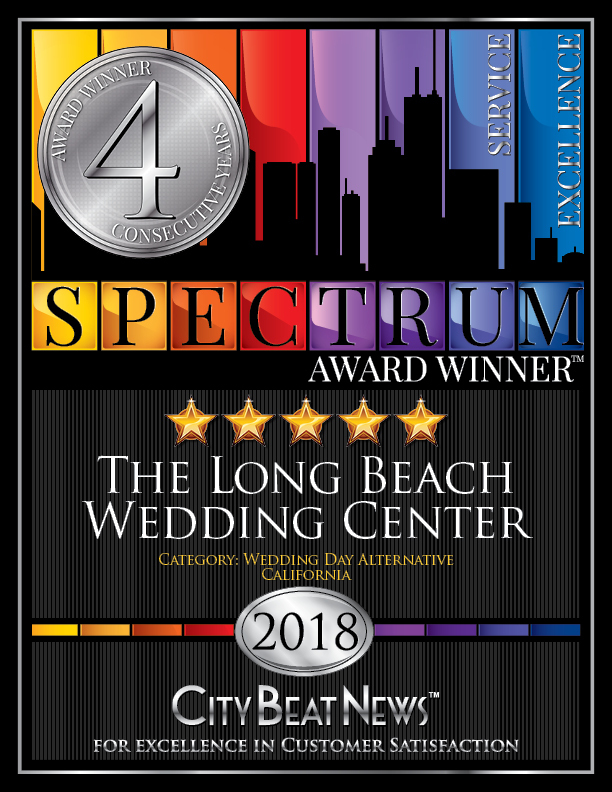 The Long Beach Wedding Center receives its fourth consecutive City Beat News Spectrum Award for providing couples with an excellent experience on their special day. Long Beach, Calif. (Nov. 27, 2018): The Long Beach Wedding Center has once again received high praise from satisfied couples and earned itself the prestigious City Beat News Spectrum Award for Excellence in Customer Satisfaction for the fourth straight year with the highest possible rating of 5 stars. In partnership with The Stirling Center for Excellence, City Beat News recognizes businesses and professionals for providing an outstanding customer experience and honors them with the Spectrum Award. Winners are based on CBN’s independent, proprietary research and evaluation system, which identifies businesses with a track record of top-flight customer service. The rating system combines data collected from nominations, customer reviews, surveys, blogs, social networks, business-rating services, and other honors and accolades — all of which express the voice of the customer. Only those with a 4 or 5-star rating receive the Spectrum Award. Additionally, the quaint little chapel was professionally designed by a high-end wedding designer and features a beautiful flower wall that serves as a great photo backdrop. In addition to the four Spectrum Customer Satisfaction Awards, the wedding center has received a lot of feedback from satisfied customers to demonstrate how well it is doing in fulfilling its mission. 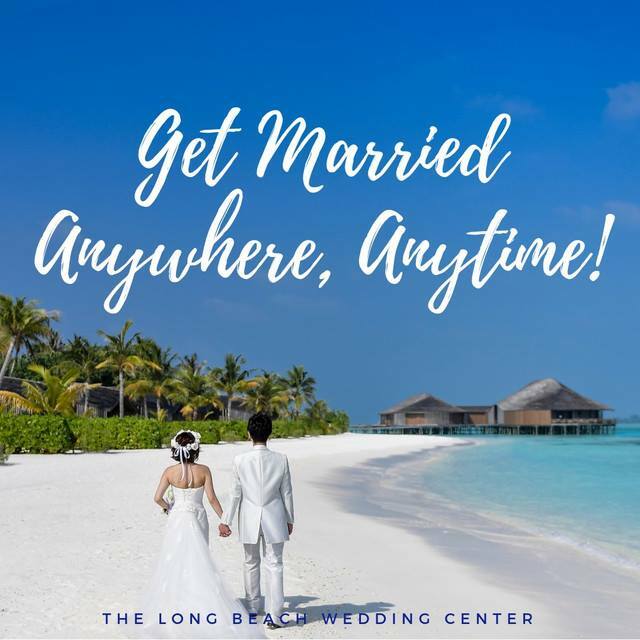 The Long Beach Wedding Center, located at 968 E. Broadway in Long Beach, offers same-day instant weddings and marriage license services where couples can walk in together and leave as a legally married couple in as little as one hour. The services are also mobile and can travel to the location of the couple’s choosing, including the beach, park or even their home or office. For more information, call 562-472-2833 or go online to www.longbeachchapel.com. Visit the center’s Award Page at https://awards.citybeatnews.com/The-Long-Beach-Wedding-Center-Long-Beach-CA. The Stirling Center includes a learning and resource center with courses, team training and support, executive coaching, articles, and case studies focused on excellence. Its objective is to enable and encourage excellence across many fields, wherever it can. The Stirling Center, recognizes service excellence in both commercial businesses such as those served by City Beat News, and its “life” and “public service” divisions.